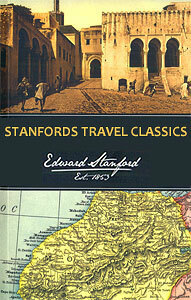 Stanfords Travel Classics were originally compiled by us, as a specialist travel bookseller, to highlight some of the classic, life-changing travel tales of the past. Beaufoy Books now produce the fine collection of historical travel literature with the endorsement of our name. Editions have been republished using striking contemporary designs, demonstrating that this historical writing is as fresh today as when it was first printed. The world is full of places to go, things to see, and discoveries to be made but, as anyone will know, there are many people who have gone before us and whose writings form the basis of the journeys we make today. Stanfords Travel Classics are the perfect opportunity to build up a collection of your favourite travel literature from your favourite travel bookseller. The books in this series feature a short history of Stanfords printed on the endpapers.